This must be something of a first for the PlayStation 4. 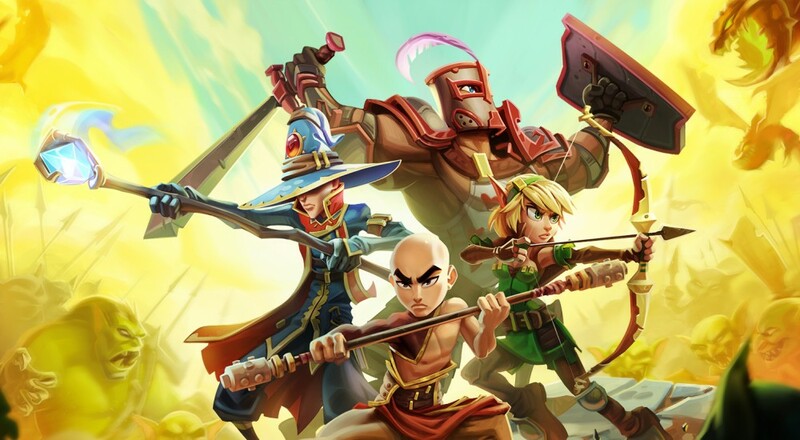 Dungeon Defenders II, the tower-defense action title from Trendy Entertainment, will be available in a pre-alpha state next week for all those interested in trying it out. It will cost you, though. The game will be in a state that is not quite up-to-date as the version available via Steam (which is now in alpha), but it will support two-player local co-op when it arrives, which the PC version currently doesn't do. This information comes from the hour-long devstream Trendy does every Friday at 5:00 PM EDT where a couple of developers from Trendy live-demoed the version of the game that will be coming to PlayStation 4 next week on September 29th. One other interesting note, the game will only support two-player local co-op, likely ever. Around the 16:20 mark, developer Philip Asher notes "it would actually be pretty taxing to do four-player split-screen with DD2 so we don't have plans to do it currently." As opposed to the original title, Dungeon Defenders II is free-to-play, meaning that there will be microtransactions featuring in-game currency that you can buy with real-world money. That's an important feature to note as in order to play the pre-alpha, you'll have to buy one of the game's currency bundles on the PlayStation Store. This is similar to how the alpha version on the PC functions and the price points for the bundles are the same. The cheapest option will be $14.99 and goes up to $24.99 and $74.99 from there. Page created in 0.3271 seconds.